Ford has facelifted its popular Focus range for 2014, bringing it into line with last year’s revised Fiesta and the forthcoming all-new Mondeo. Most obvious is the new front bodywork where a sculpted bonnet and smoother bumper mouldings envelop sleeker LED headlights. 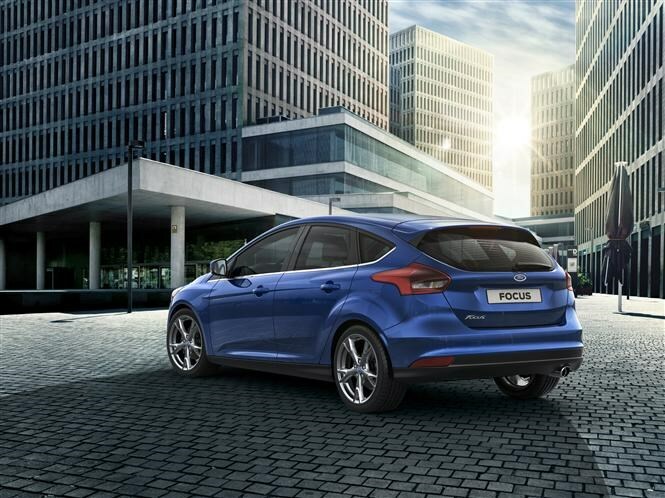 Sitting within the bumper is a trapezoidal chrome grille, lending the Focus a more substantial, sophisticated air. Complementary improvements at the rear see a reprofiled bumper and LEDs within the tail lights. The hatchback also benefits from a new, smoother tailgate design. Inside there are new higher-grade plastic mouldings for the dashboard. While it looks similar to before, the upper aspect is dominated by an eight-inch colour touch screen. New instrumentation and revised switchgear complete the enhancements. Conveniently a cubby with adjacent USB socket, positioned just in front of the gear lever, allows smartphones to be connected and charged simultaneously. Ford has improved fuel efficiency and reduced CO2 emissions across much of the range, with most engines showing gains over the pre-facelift Focus. New to the line-up are a pair of 1.5-litre engines, with both petrol and diesel versions available in two power outputs. The 1.5-litre EcoBoost petrol comes with 148bhp and 178bhp, while the 1.5-litre TDCi diesel is available in 94bhp and 118bhp outputs. As standard the new motors come with a six-speed manual gearbox, with automatic transmission becoming available on all but the 94bhp diesel in 2015. Of the existing engines, the big news is that the 1.0-litre EcoBoost unit will be available in a 99g/km of CO2 variant, the first petrol-engined non-hybrid car of this size to achieve this. As before, the headline figures as far as CO2 emissions are concerned are 88g/km for the Econetic Focus and 99g/km for the 1.5-litre TDCi diesel. Those seeking greater performance will have to wait a while longer before Ford unveils a similar host of revisions for the Focus ST. 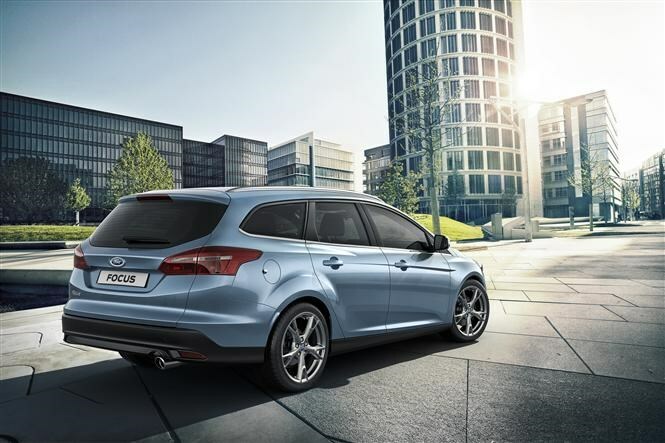 When the current Focus was introduced it ushered in a raft of features previously associated with more expensive cars. 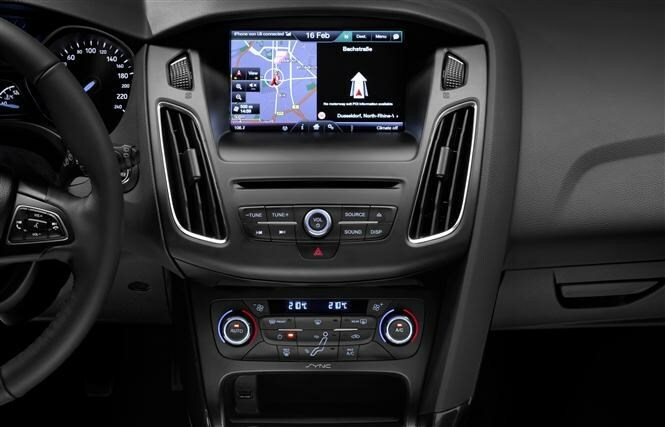 That trend continues with the 2014 model featuring ‘SYNC2’, Ford’s latest infotainment system. Providing touchscreen functionality and smartphone connectivity, the easier-to-use graphics are enhanced by an improved, more intuitive voice recognition system, allowing for more natural commands. Improvements to the self-parking system allow the new Focus to reverse-park into bays, in addition to parallel parking, while it will also drive you safely back out of a parking slot too. 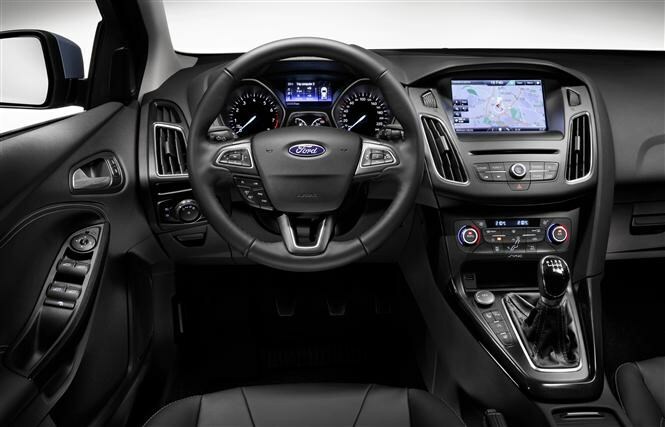 Ford also promises under-the-skin changes improve the driving characteristics of the Focus, with stiffer front suspension settings and a new electric power steering system to promote greater accuracy and feel. 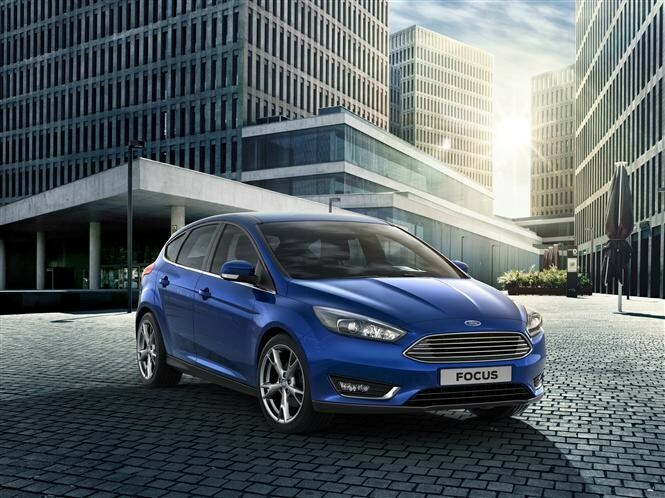 The facelifted Ford Focus arrives in the second half of 2014 but Parkers will be putting the refreshed model through its paces before then. For more news about the Geneva Motor Show, click here.